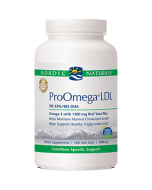 ProDHA Eye® with FloraGLO Lutein, is specifically formulated to protect eyes and support healthy vision by combining concentrated omega-3s with natural carotenoids lutein and zeaxanthin. 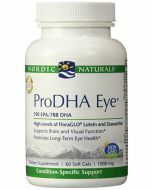 This unique blend supports eye health while also protecting against damaging ultraviolet blue light. 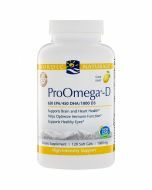 Purified deep sea fish oil (from anchovies and sardines), soft gel capsule (gelatin, glycerin, purified water, carob color, natural lemon flavor), floraglo lutein (in safflower oil), beeswax, d-alpha tocopherol, zeaxathin (in corn oil), rosemary extract (a natural preservative).